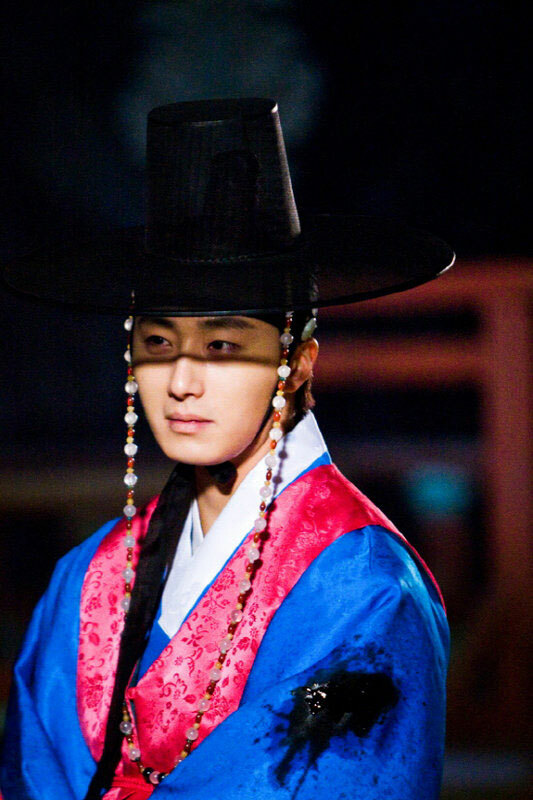 Bloodshed event is going to happen in the remaining plot of The Moon Embracing the Sun, and the key and source to the event are Prince Yang Myung (Jung Il Woo). In the published photos, Yang Myung holds onto the hand of Yeon Woo (Han Ga In) difficultly, while another hand is holding a sword that dropping blood tensionly. Therefore, Yang Myung has become a key figure in the future development of the plot, but no matter which way the story goes, it’s not the fault of Yang Myung, as it’s the the best he could do under such circumstances. In episode 16, Yang Myung declares to Lee Hwon (Kim Soo Hyun) that he is willing to give up the position of royal prince for Wol, showing the unusual atmosphere. The conflict of Yang Myung and Hwon becomes increasingly intensified, the rebellion of Yang Myung gradually revealed. Especially with the release of stills that show Yang Myung is pointing sword on Hwon that display his charisma. Viewers are very concerned about the future story development, especially on declaration that “Yang Myung does not live for others.” Whether he will break every taboo and reveal the hidden blade has raising the curiosity of audience. The bloody precursor of Prince Yang Myung indicates the tense storyline that is going to be staged. The audience commented, “Is the rebellion by Yang Myung eventually started?” “Bleeding Prince Yang Myung, worry about the confrontation with Hwon in future,” “Now the fate of Prince Yang Myung depends on himself” and so on, showing the focus on Prince Yang Myung. Besides, there is only 4 episodes left to the end of The Moon Embracing the Sun. Epsiode 17 will air at 9:55pm on February 29th, 2012.